The official EA SPORTS NBA Twitter account says that the demo will be available for all at 12 AM ET Friday. What do you think of the demo's format? Is there too much locked? Unlocked? What would you change? 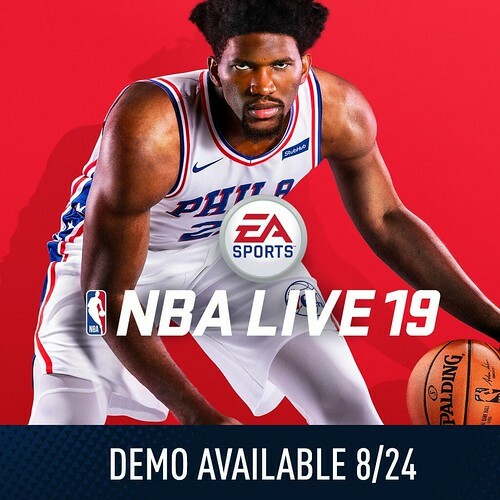 Continue on to see the full details of the LIVE 19 demo. What game modes are available with the demo? What game modes aren’t available in the demo? Unfortunately, they haven't announced any details or begun to hype up the demo yet. The facescan app should also be available at anytime now so users can get their face/player into the demo before Friday. The marketing of the game has been very up and down this year, but 'should' be very busy from now through release. At least they have a demo. Most games skip this step. 2K doesn’t offer a demo outside their individual mode I believe. I hate that I have to play the One Player junk to play real basketball. They did that last year too.